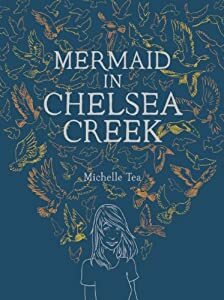 So many quality children's books are being published today, but Michelle Tea's new YA novel Mermaid in Chelsea Creek stands out. The first book in a trilogy tackles modern environmental and social issues seamlessly within its truly fantastic story. For a chance at winning this book and a $100 Threadless gift certificate, leave a comment with the name of your favorite childhood book series. Mine was L. Frank Baum's Oz books, which were surprisingly darker than the 1939 film. The winner will be chosen randomly at midnight ET Friday evening (July 12th).